I just had to share this beautiful home with you! Cindy and her husband were not DIYers until they bought this 1970s home that was still in a time warp. 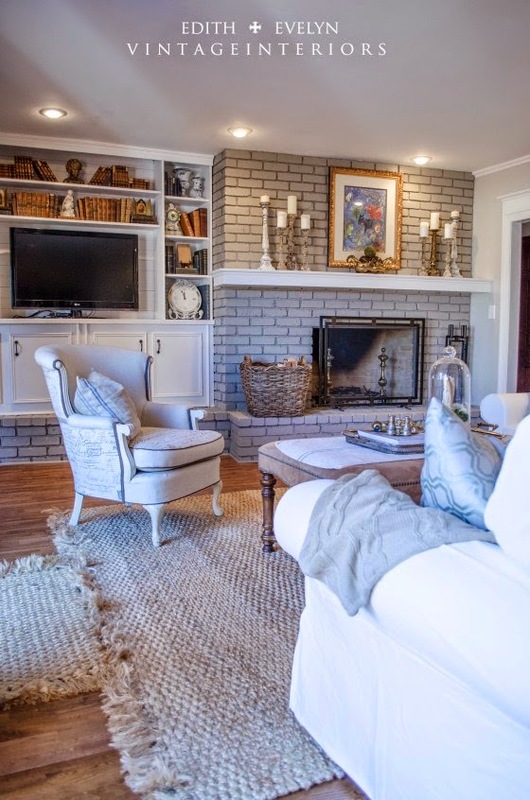 The den is their most recent project, and the second room they tackled, it turned out amazing. I am just giving you a sneak peek at this renovation. 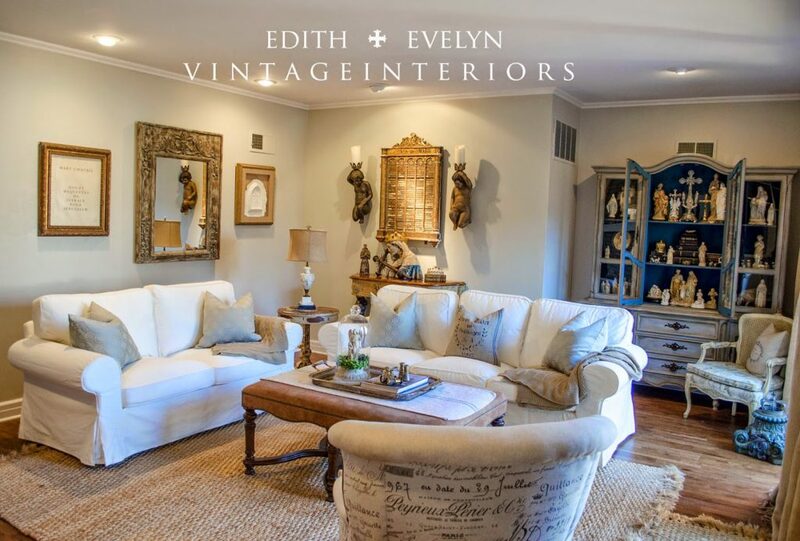 You can see “before” pictures and more of their beautiful home at Edith An Evelyn Vintage Interiors. Her collection of Religious Icons is amazing and Cindy sales some of these in her Etsy shop. 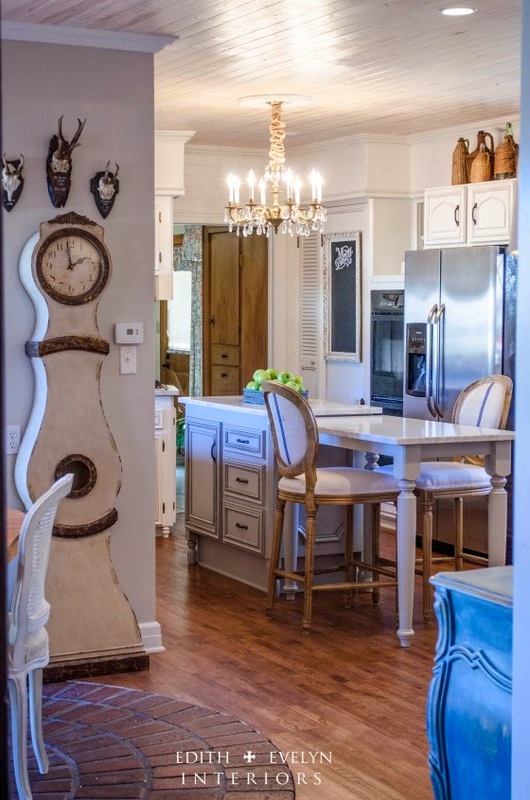 We are in the middle of updating our kitchen and Cindy’s kitchen remodel took my breath away. You won’t believe the “before” pictures of the kitchen with avocado green appliances, popcorn ceilings and wallpaper. I can’t wait to see which room they work on next and I’ll be following along to see the transformation. To see more of this beautiful home visit Cindy at Edith And Evelyn and please tell her I sent you. I know isn't her style fabulous? I don't know why I had never seen this blog before until I saw it on Anita's blog. I just keep going back and looking at it all. Gorgeous! Thanks for sharing this home! Wow, I love her style! thanks for sharing her beautiful home. 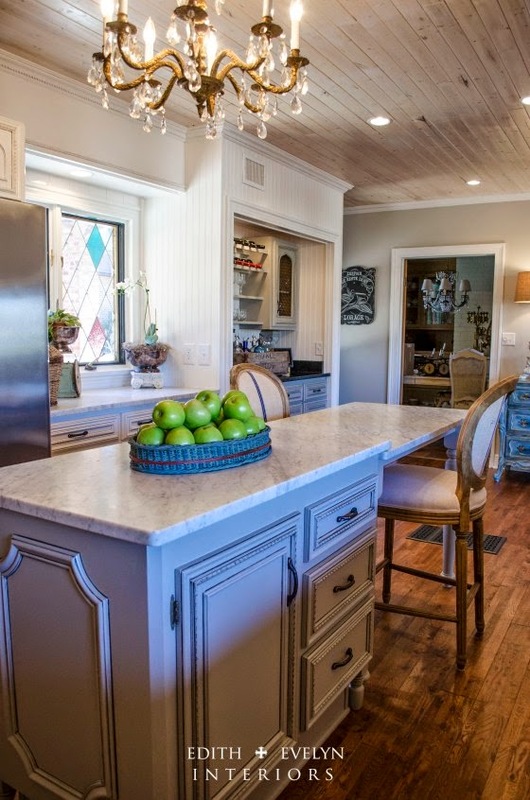 Thank you so much for featuring our kitchen and den renovation! We feel very honored to be featured on your beautiful blog! I've seen her blog before and admired her new decor. It's amazing to see the transformation of how it once looked compared to now! Oh Sherry, both of theose rooms are breathtaking!!! What fabulous style! 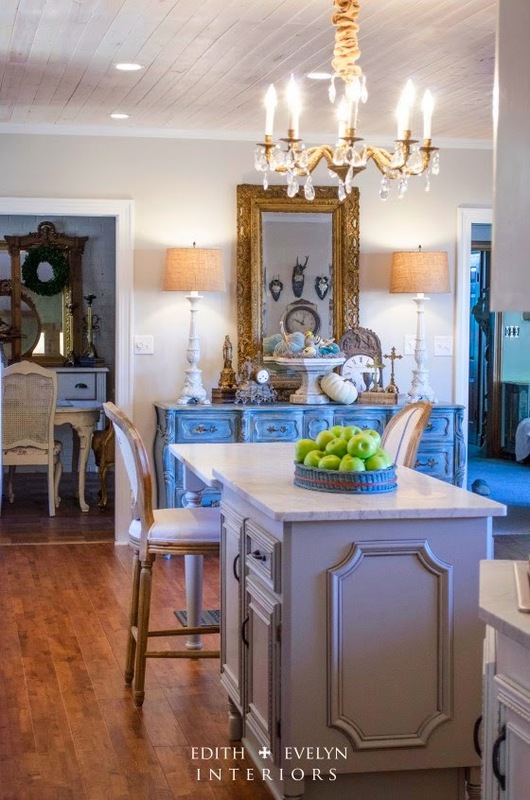 I love that pop of blue on the buffet in the kitchen, it is just the right amount of color. Thank you for sharing. Going to head on over to check out the before pics. Oh yes, I've drooled over this before … love seeing it again! Such an incredible transformation! I have been following her and her transformations are amazing!!! Very dramatic and pretty! Love the texture of her art in her living room. Very dramatic and pretty! 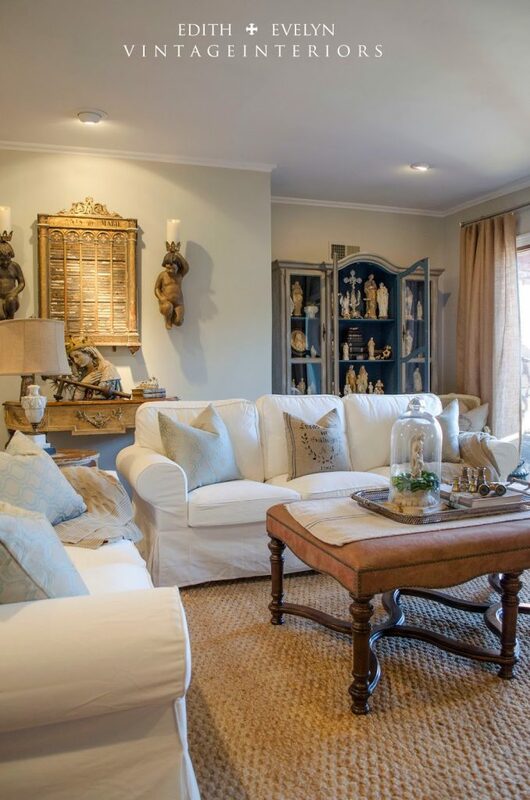 Love the texture of the art on her walls in her living room. Sherry it is just so beautiful and comfortable as well! The use of fabrics and texture, and of course I adore her collection of religious icons!